A Full-day canoe trip Norway: around lake Øyangen, in Jotunheimen national park. 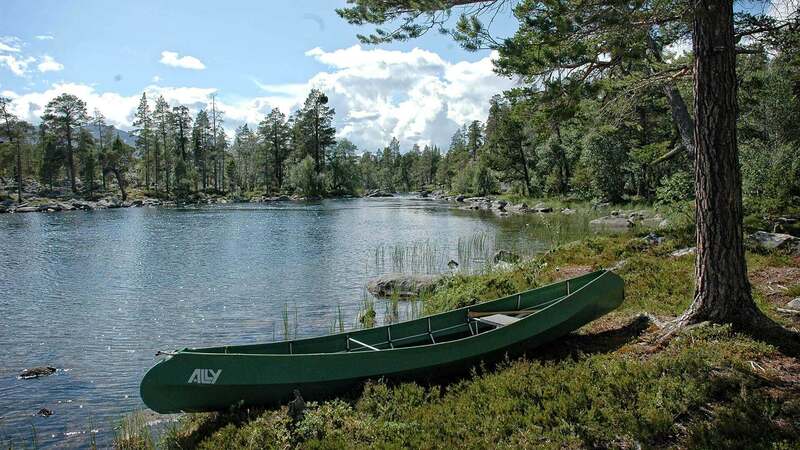 Canoe trip Norway: your guide will give you instructions and after that we will paddle together along small islands, old forests, mossy rocks and up the river if the conditions allow it. Or if you like you can hire a canoe on your own, ask our staff for more information. Or contact us. The view towards the mountain area “Slettefjell” and our signature peak “Bitihorn” are breathtaking. Later on that day we disembark on an small island or a sheltered bay and together we will prepare a yummy wilderness lunch on the fire. After having eaten we will relax with hot drinks and snack. Our canoes are very wide and stable, with plenty of room for 2 adults and 1-2 kids. Canoeing and Kayaking is a fascinating experience, and you can choose the distance according to your needs, whether you have small children or want a really challenging trip with friends, we suggest the right trip for you. Numerous rivers and lakes in Valdres makes it an ideal holiday destination for those interested in canoeing. From easy paddling on the water and calmly enjoying nature, up to heavy duty whitewater kayaking, it is all possible in Jotunheimen national park.